We are a family run business with our team made up of husband and wife, David and Margaret McMillan, son Paul and daughter Jennifer, who will personally supervise your bookings and first encounters with Lime Park. We cater for all types of riders - from beginners and leisure riders through to those who have their own horse or pony. 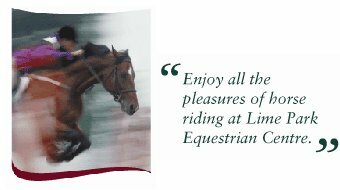 "The Mission of Lime Park Equestrian is to allow people of all ages and abilities to enjoy the pleasures of horse riding by providing expert tuition and education in horse care within a safe, clean, comfortable and welcoming environment."